Australia Day is on Friday, 26th January and is a day of celebration for Australia. You can celebrate Australia Day wherever you are with our range of Australia Day Products which include Australian Themed Decorations, Australian Bunting and Australian Flags. Australian Themed Inflatables are great fun and add to the atmosphere of any Australia Day Themed Party. We would to love to hear from you how you will be enjoying Australia Day this year. As we will soon be welcoming in 2018 we have been looking ahead to some of the fantastic events to come, both seasonal and special to 2018. These events are the perfect opportunity to have social gatherings and a Themed Party. 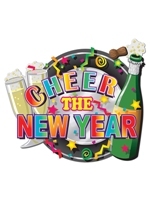 We have loads of Themed Decorations to add to the atmosphere and success of your party as well as Themed Accessories and Fancy Dress Costumes to get the party in full swing. 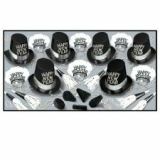 As well as already having tons of Party Products there are always lots more Party Novelties being added. Please let us know if you have started planning yet for next year.